Elena Baralis is full professor in the Computer Engineering Department of the Politecnico di Torino. She is dean of the Computer Engineering School of the Politecnico di Torino since October 2012. In the years 2011-2013 she belonged to the Managing Board of the ASP (Alta Scuola Politecnica, a joint degree program between Politecnico di Milano and Politecnico di Torino). She has been member of the Senato Accademico (managing board of the Politecnico di Torino) from February 2002 to December 2004. She has served on the program committees of several international conferences and workshops, among which VLDB, IEEE ICDM, PKDD and ACM SAC. She has been area-chair of several IEEE ICDM conferences and ECML-PKDD’11 and of several workshops on her research topics (e.g., the Int. Workshop on Big Data Applications and Principles (BigDap) 2015 and 2016). Data analytics: analysis techniques for big data (e.g., network traffic flows), multilingual documents summarization, methodologies and algorithms for association rule extraction (big data), structured and unstructured (e.g., textual, XML) data classification. Data base systems and data mining: Indexing techniques for the integration of data mining algorithms in database systems. Sensor databases: Real-time mobile analysis of clinical/physiological data. She has participated to several national and European research projects focused on her research topics. The most recent research projects include the ONTIC (Online Network TraffIc Characterization) FP7 European project (http://ict-ontic.eu) in which she heads the Politecnico di Torino research unit. Her contribution is devoted to offline (bigdata) analysis techniques for network traffic characterization. She also actively participated in the mPlane (an Intelligent Measurement Plane for Future Network and Application Management) FP7 European project (http://www.ict-mplane.eu) devoted to the analysis of network traffic data. She is currently taking part to the I-React (Improving Resilience to Emergencies through Advanced Cyber Technologies) H2020 European project. I-React aims at supporting emergency situations by exploiting information derived from heterogeneous sources such as social networks, mobile devices, and sensors. The description of some other research projects can be found here. She has published over 120 papers in international journals (IEEE TKDE, ACM TODS, ACM TOIS) and conference proceedings (IEEE ICDE, IEEE ICDM, VLDB). A list of database related publications is available at the DBLP Bibliography Server and a more comprehensive list is available on the Porto repository. 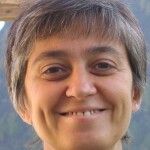 Elena Baralis is full professor at the Dipartimento di Automatica e Informatica of the Politecnico di Torino since January 2005. She holds a laurea degree in Electrical Engineering and a Ph.D. in Computer Engineering, both from Politecnico di Torino.